and lets throw in sarcastic too. 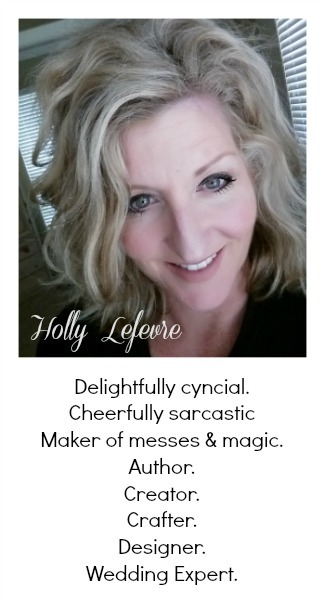 Plus, I have a semi-warped sense of humor. I actually do warn people of this when I meet them. So I made those cute Cookies for Santa plates back in December and am having a love affair with those DecoArt Glass Markers...so I must use and reuse them! First thing that came to mind was my cynical take on the world...so I cam up with these "Half & Half Mugs." SEMI-WARNING - This is a L-A-M-E tutorial. For two reasons...I cannot find the photos (I think they are on the broken down mac) and it is so EASY, there is not much to show! 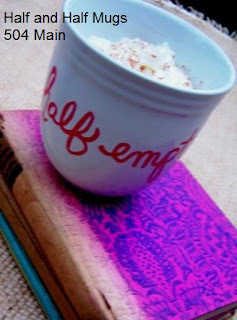 Empty mugs - I picked up these mugs at Target for about $2.50 each. I also just found a new set at Goodwill for $1.00 each. 1. Clean your mug thoroughly and wipe with a towel and rubbing alcohol - and then try to touch the area as little as possible. 2. 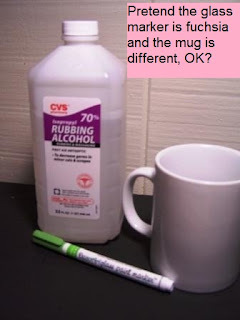 Start your glass marker, by pressing on the tip a few times to load the paint. Then start tracing over the letters on the print out. It takes a minute to get used to writing backward, but it actually adds character in the end. 4. Let dry for 4 hours. 5. Place in a non-preheated oven. Start oven at 325F and bake for 30 minutes. Turn off oven, open door and let cool. decide what kind of day you are going to have! These are so cute Holly!!! 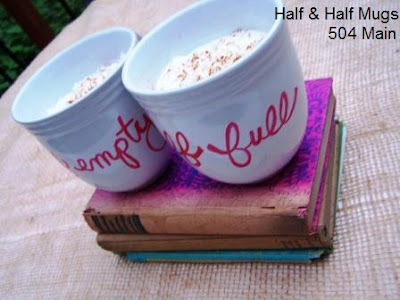 I love the half-empty half-full idea! Too funny. :) Those pens look super easy to use - I'll have to try them! i love this. i used these pens once and was bummed they wiped off after a few washes.. had no idea u were supposed to bake them HA.. will try again soon! 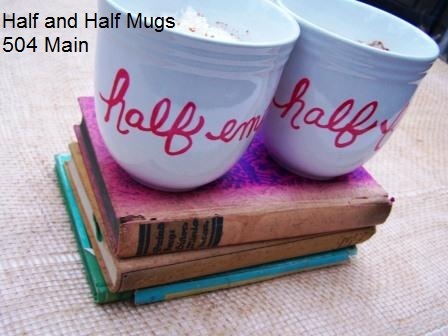 I love these mugs Holly. I'm going to have to try those pens! Super cute! I've used glass paint, but never markers. Now I want some!!! These are cute! I love how we could split them in our house. 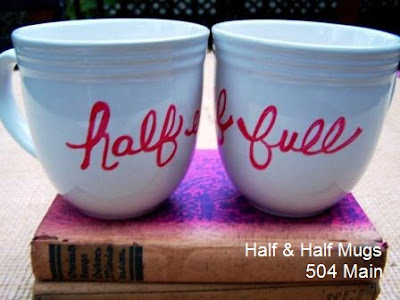 I would be the half empty and Hubby would be the half full. Yeah, I'm the negative one! Totally adorable Holly. I love it - especially being pink. 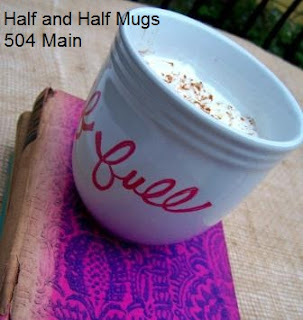 Love the way you described yourself, Holly, and your mugs are great! I definitely need to pick up a set of those markers, now that I've satisfied my quest for the chalk pens. Oh goodness! I love this SO much. <3 These are just adorable. The Pinterest Challenge Starts NOW!